For the most part, Android keeps getting better, but it's certainly not immune to privacy concerns that plague every operating system and smartphone. And as it turns out, Google snuck a questionable feature into the operating system with a recent update. A new permission called "activity recognition" may be tracking your physical activity and sharing it with third-party apps, and there's no easy way to stop it. The "activity recognition" permission was shared on Reddit earlier this week. Basically, it allows Google to track your physical activity (biking, running, standing still) using your phone's built-in sensors and then share that information with third-party apps. SoundHound and Shazam both appear to be using the permission, though it's unclear why. 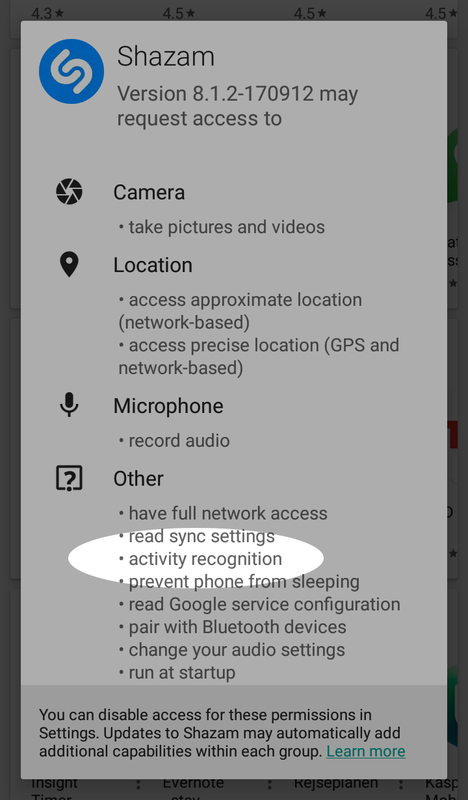 Activity recognition is also categorized in the list of "other" permissions, so it won't show up when an app updates on your phone. The only way to check is to go into each app on your device and look at all of its permissions. There's also no way to revoke this specific permission either across the board or on an app-by-app basis. If it's an app you don't use that often you could always delete it off your phone to avoid sharing your personal information. One Reddit user also suggested preventing those apps from running in the background. Unfortunately, there's no easy way to deal with activity recognition for now. Hopefully Google will offer a fix eventually, but until then you may just have to accept that owning a smartphone means giving up a bit of your privacy. Seriously? You forgive them that easily? The reason Google exists is to take your data and sell it to advertisers. 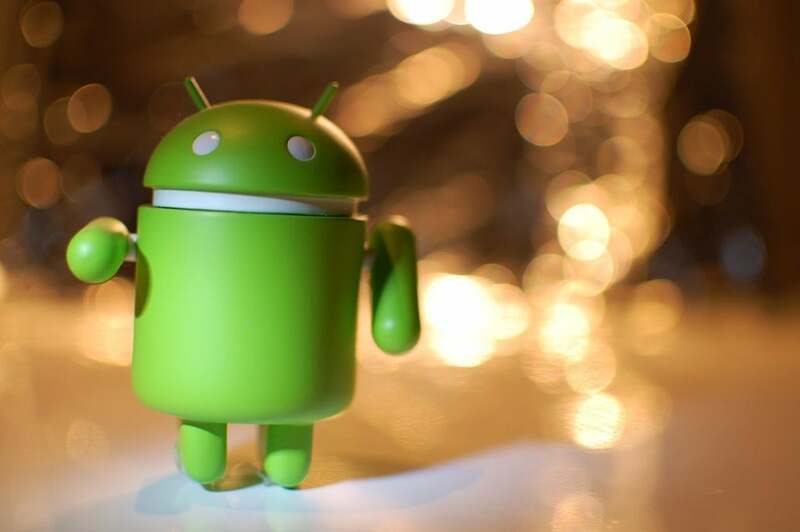 Android users, and users of google software and hardware have no privacy. None. This capability has always been in Android too, it's how the "on-body detection" in Google smart lock works. lol good thing to know someone actually spends time to ready the legal jargon for everything software related they purchased. And since you can only read them after you purchase it it's such a hassle to return the software if you can if you don't agree with it.